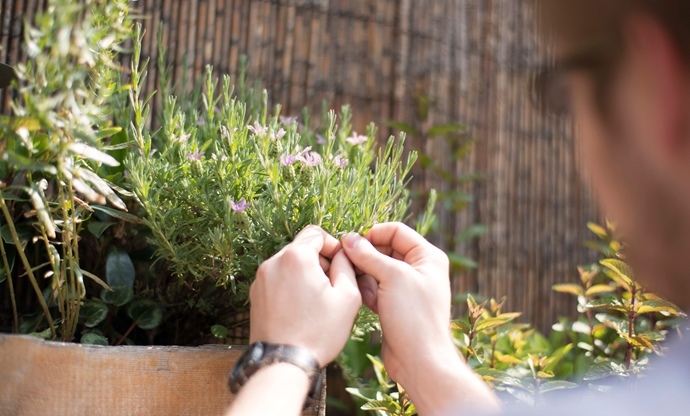 Bursting with perfumed flavour with a lightness that's perfect for sipping in the summertime, these are the UK's top gins for fans of more floral varieties. With the hundreds of gins available in the shops today, it can be hard to work out where to start. As a rule, the spirit falls into three categories: fresh and floral, citrusy and herbaceous and juniper-rich and robust. Here, we take a look at the first category, discovering the taste profiles and botanical make-up of the finest fresh and floral gins made in the UK. 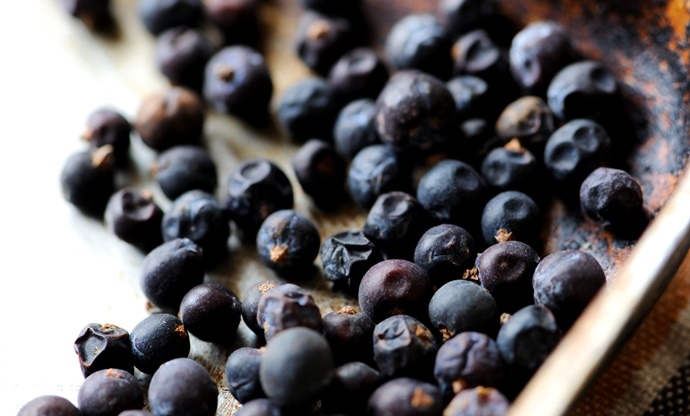 To be called gin a spirit must contain juniper, which means the berries are always present. But there are other common botanicals found in almost every British bottle too – citrus peel, angelica root and coriander seeds are usually in the list of ingredients. It’s the more interesting herbs, spices and flavours, however, that give a gin its unique flavour profile. They can radically change the smell, taste and even how a drink feels in your mouth. Gins containing fresh and floral flavours should be matched with similar tasting tonics for G&Ts, such as Fever-Tree Elderflower Tonic. By including grains of paradise, caraway seeds and chamomile in the list of its twelve botanicals, Hendrick’s is the perfect example of this variety of gin. Elderflower adds plenty of floral notes and the addition of rose essence and cucumber at the end of distilling really lifts the fresh, perfumed flavour and adds top notes to the deeper, more common ingredients. Arguably the most popular high quality gin on the market, it has been on shop shelves since 2001 and was launched to celebrate ‘Britishness’ – which, as it was developed by an American ad agency, meant cucumber sandwiches, pretty English gardens and a quirky afternoon tea vibe. A few slices of cucumber used to garnish Hendrick's in a gin and tonic instead of the traditional lemon wedge complements the included botanicals. For fresh and floral gins, botanicals with perfumed, aromatic qualities are used, and for the perfect G&T a mixer such as Fever-Tree Elderflower Tonic works particularly well. All-natural and made with elderflowers hand-picked from the Gloucestershire countryside, the taste combines beautifully with this style of spirit. Martin Miller’s is another gin that encapsulates fresh and floral flavour and is one of the oldest ‘craft gins’ on the market, being released in 1999. What sets it apart from other gins is the fact that it’s blended with Icelandic water – purported to be the world’s purest – meaning it has to be transported 3,000 miles from its distillery in Hampshire. The classic botanicals are balanced to reflect this purity, before giving way to juniper with an incredibly crisp mineral finish. For a G&T, the distiller says using an elderflower tonic (such as Fever-Tree's) brings out the gin's sweetness, as do quartered strawberries and cracked black pepper. Despite being a relatively young distillery (under ten years old), Adnams has managed to produce an incredible gin that’s won countless awards and was even named World’s Best Gin in the 2013 International Wine and Spirit Competition. Thanks to the brewery next door, Adnams can make its own grain spirit, which means the company controls every single aspect of the process. 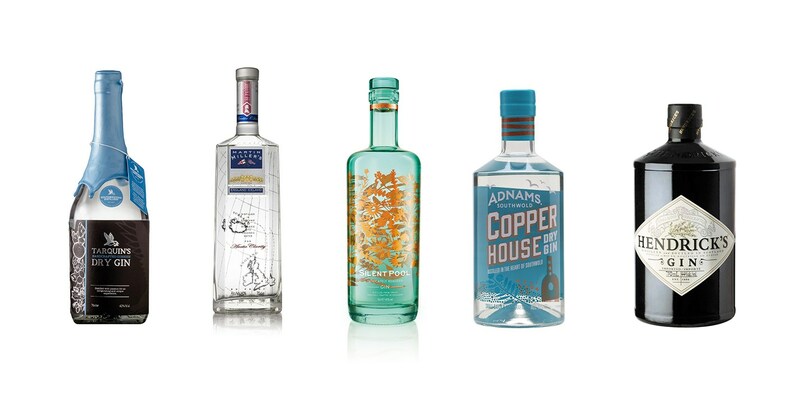 There are only six botanicals in Adnams Copper House Dry Gin, two of which really stand out in the final fresh flavour – cardamom pod and hibiscus flower. The bitter, perfumed hibiscus and warming spice of cardamom make it particularly unique, and results in a burst of floral notes on the tongue. Adnams recommends using Fever-Tree tonic and a large twist of orange peel to bring out the flavour of the gin. If you’re after a stellar small-batch gin, then take a look at Tarquin’s from the Cornish coast. It’s only been produced since 2013 and only 300 bottles are produced per run. This allows the distillers to keep a close eye on what’s happening in the still, and every botanical is sorted by hand to ensure only the best make it into the liquid. Tarquin’s is quite a traditional gin, with all the classic flavours you’d expect from the spirit (which is why they recommend the standard lime wedge as a garnish in a Tarquin's G&T). However, the addition of violet leaves from the head distiller’s own garden, bitter almonds from Morocco and Guatemalan cardamom seeds ensures a floral-forward flavour. A lot of care is taken in sourcing the botanicals; for example, the juniper is sourced from Kosovo as it is particularly fresh and light and cinnamon from Madagascar is used instead of the more traditional cassia bark. Silent Pool is another small-batch producer, based in Surrey with a focus on using locally-sourced botanicals. There are twenty-four included in the gin, and while some come from abroad the honey, elderflower, chamomile and pear comes from local growers. Even more exotic ingredients such as kaffir lime leaves are sourced from the UK. Elderflower and honey are the two most noticeable botanicals when drinking Silent Pool, which gives the gin a lovely floral sweetness – but despite the large number of ingredients they’re all well balanced. Lavender, linden flowers, rose petals and cubeb berries bolster the perfumed aroma, before allowing the classic juniper flavour to shine through. A thin slice of orange complements the honey flavours perfectly when making a gin and tonic. Fresh and floral gins are perfect if you’re after a light, refreshing drink that’s reminiscent of British summertime. If you find classic gin too rich in juniper and citrus-led varieties a touch too zesty, floral gins are full of subtle, blossomy flavours that dance on the tongue before giving way to the more familiar taste of juniper.